Lisa McLain was born and raised in Southern California. She received her B.A. degree from the University of California, Santa Barbara in 2003, where she majored in Law & Society and Philosophy. Ms. McLain received her Juris Doctorate from Loyola Law School in 2006. She was admitted to the California State Bar in December 2006 and is admitted to practice before the United States District Court for the Central District of California. 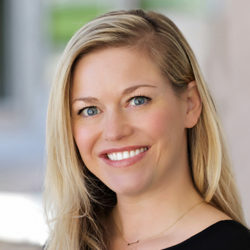 Ms. McLain began her legal career in with Reback, McAndrews, Kjar, Warford & Stockalper, and joined Doyle Schafer McMahon in 2017, where her current practice involves the defense of doctors, hospitals, and health care providers. She has spent her entire career defending professional liability claims in the courts of Southern California.